Hope you feel like staying up late tonight. 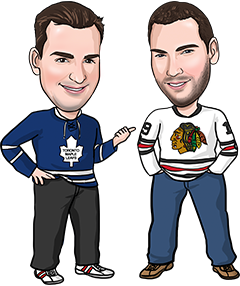 There’s 5 games on the NHL schedule, and it’s 2 of the last 3 games of the night (both 10 pm eastern starts) that have caught our eye for today’s NHL betting tips. St. Louis is struggling by its high standards, coming into tonight’s game with 3 straight losses. They’re not locking down defensively very well, blowing a third-period lead at home in their last game against Ottawa. Now they have to visit Colorado, a team that is surging lately to pull within a few points of a playoff spot after that awful start. While the Blues don’t have a lot of confidence right now, Colorado is brimming with it after that big win over the Kings on Monday night. We’ll gladly take the home underdog to take another heavyweight down tonight! Let’s see here. The Hurricanes don’t score very much, totaling just 15 goals in their last 9 games. They also don’t give up many goals (15 in their last 9 as well). Against a Canucks team that hadn’t scored a PP goal in 9 straight games until Monday’s loss to Arizona, and with these teams combining for just 15 goals in their last 4 meetings, we expect another low-scoring game tonight.